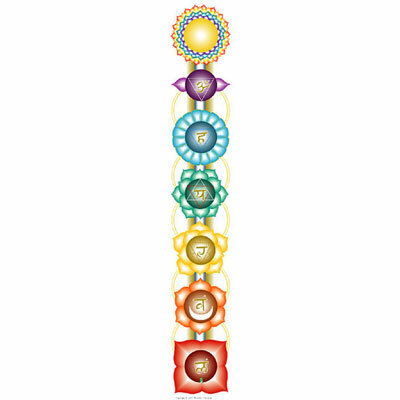 Printed on laminated UV-protected paper, Terry Satterthwaite's rainbow-coloured chakra design makes a great bookmark. The same artwork, depicting the body's energy centres as lotus flowers in accord with the traditional Vedic view, also comes on a poster and a banner. Size: 20.5 x 4.5 cm.